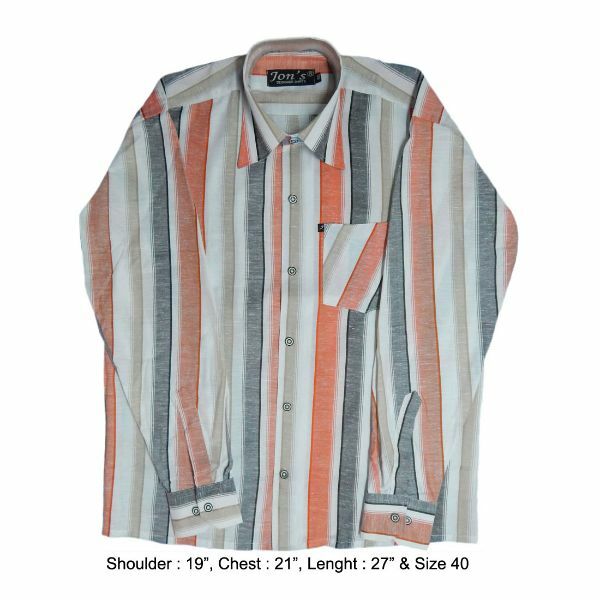 Striped Casual Shirt in white, black and orange colour. Size : Chest : 21" Length : 27"
Free Shipping in India. Delivery within 3-7 working days. Delivery in 3-10 working days outside India.